Question from a Reader: I know I’ve heard plenty of times that it is normal for ‘grievers’ to feel despondent and wish to be with their spouse who has passed on. But, it doesn’t feel like it’s normal to me because I don’t want to live any more, although I am not going to do anything to harm myself. In fact, I am on a healthy food plan and I am doing whatever it is I need to do to live from one day to the next. I stay in for days at a stretch but I go to appointments, do errands, pay bills, because I have to, I cry during the day, get my groceries, go to family get-togethers even though I’d rather not, but I know the family wants to see me and I want to see them (before I go). But, I want to tell my primary care physician that I have these thoughts and that I’m just temporarily distracting myself with these routine daily things, I really and truly don’t want to live anymore, not without my husband who passed away four months ago. I want to tell the doc this, and I’m just waiting for God to call me. I really don’t want to go to the doc, but I think it’s time for a therapist so I’m planning on asking my PCP for a referral and doing this soon. The problem is I think if I tell my PCP this I’m afraid he might think I’m suicidal and have me committed by obligation or inform the authorities. Do you think this could happen? Has it happened to anyone that you know of? I’ve been having crying spells more lately even after the tears stopped for weeks, they’re back again. I still have panic/anxiety attacks but they have subsided somewhat. But I still can’t wait to cease to exist so I won’t feel the knowledge that my beloved is gone and I know in my heart that my life is over, while others are getting on with life and working through their grief. I just won’t be happy for the rest of my life and no one can tell me any different. I don’t want to live. I truly hope I haven’t depressed anyone or upset you, but this is how I feel. I’m ready to leave this world but I don’t want to do it via an insane asylum. Thank you so much for reading this and thanks in advance for any advice or support. My response: From what you’re telling me, it seems pretty clear that, uncomfortable as they are, you understand that these suicidal feelings you’re having are normal. Keep in mind that whatever feelings you have in grief are not right or wrong, good or bad, and they’re not always rational – feelings just are, and for your own mental health it’s important to acknowledge them and express them. So I want to commend you for acknowledging and expressing your thoughts of suicide. Most grieving people have those very same thoughts, but like you, they are terribly afraid to share them for fear of being regarded as over-reacting or crazy, or for fear of scaring other people. The simple fact is that thoughts of suicide are not at all unusual when you are grieving. Right now you may have the pessimistic belief that things will never get any better, as if life and living are useless and pointless. It is difficult to imagine life without your beloved, and not wanting to go on without your husband is understandable. Keep in mind, however, that there is a vast difference between thinking about suicide and actually acting upon such thoughts. In grief, thoughts of suicide are usually fleeting and reflect how desperately you want the pain of loss to end. You’ve voiced a concern about sharing your suicidal thoughts with your doctor. I don’t know your primary care physician, but I would hope that he is skilled and experienced enough to recognize the difference between normal grief and clinical depression, and that his assessment of your mental state would take into account the recent death of your husband and its effects on your current outlook. Keep in mind, too, that while medical doctors are qualified to prescribe medications, not all physicians are knowledgeable about grief and the normal mourning process, and sometimes they are too quick to reach for their prescription pad rather than to refer their patients for grief counseling. There has been much discussion among mental health professionals about the use of medication in the management of acute, normal grief. The consensus is that medication ought to be used sparingly and focused on giving relief from anxiety or from insomnia as opposed to providing relief from depressive symptoms . . . It is usually inadvisable to give antidepressant medications to people undergoing an acute grief reaction. These antidepressants take a long time to work, they rarely relieve normal grief symptoms, and they could pave the way for an abnormal grief response, though this has yet to be proved through controlled studies. The exception would be in cases of major depressive episodes. Psychiatrist Beverly Raphael (2001) affirmed that, although our psychological understandings of bereavement have increased, there is not yet a good basis for biological intervention. Pharmacological approaches should, for the most part, only be provided where there is an established disorder for which they are indicated. I would concur with this (pp. 70-71). Finally, know that you really don’t need a physician’s referral in order to seek bereavement counseling (unless your health insurance requires it). See, for example, Finding Grief Support That Is Right For You. As both a bereaved parent and a bereaved daughter herself, Marty Tousley, RN, MS, FT, DCC has focused her practice on issues of grief, loss and transition for more than 40 years. She joined Hospice of the Valley in Phoenix, AZ as a Bereavement Counselor in 1996, and for ten years served as moderator for its innovative online grief support forums. She obtained sole ownership of the Grief Healing Discussion Groups in October, 2013, where she continues to serve as moderator. A frequent contributor to health care journals, newsletters, books and magazines, she is the author of Finding Your Way through Grief: A Guide for the First Year: Second Edition, The Final Farewell: Preparing for and Mourning the Loss of Your Pet, and Children and Pet Loss: A Guide for Helping. She has written a number of booklets for Hospice of the Valley including Explaining the Funeral /Memorial Service to Your Children and Helping Another in Grief, as well as monthly columns, e-books and online e-mail courses for Self-Healing Expressions, addressing various aspects of grief and loss. With her special interest in grief and the human-animal bond, Marty facilitated a pet loss support group for bereaved animal lovers in Phoenix for 15 years, and now serves as consultant to the Pet Loss Support Group at Hospice of the Valley and to the Ontario Pet Loss Support Group in Ontario, Canada. Her work in pet loss and bereavement has been featured in the pages of Phoenix Magazine, The Arizona Republic, The East Valley Tribune, Arizona Veterinary News, Hospice Horizons, The Forum (ADEC Newsletter), The AAB Newsletter, Dog Fancy Magazine, Cat Fancy Magazine, Woof Magazine and Pet Life Magazine. Marty’s Grief Healing website and blog offer information, comfort and support to anyone who is anticipating or mourning the loss of a loved one, whether a person or a cherished companion animal. She is certified as a Fellow in Thanatology (Death, Dying and Bereavement) by the Association for Death Education and Counseling, as a Distance Credentialed Counselor by the Center for Credentialing and Education, and as a Clinical Specialist in Adult Psychiatric/Mental Health Nursing Practice by the American Nurses Association. Marty and her husband Michael have two grown sons and four grandchildren. They spend their winters in Scottsdale, AZ and Sarasota, FL, and enjoy their summers in Traverse City, MI. Marty welcomes reader questions and comments, and can be contacted at [email protected] or through her Web sites, at GriefHealing.com, GriefHealingBlog.com, and GriefHealingDiscussionGroups.com. I feel the same way you do my husband died 3/1/11 it like being in hell living with out him. My wife passed on 5/28/11 from cancer. I don’t want to live but you can’t commit suicide. The bible states only a fool cuts his life short. I pray to God that I am ready at anytime; in either case, live your life one day at a time and trust in God that you will see your spouse again someday. Live a clean spirtual life with family and friends because they are the most important on this earth. I learned that the hard way getting caught up in the material things of this world, but I can’t go back in time. Going forward is our only choice to try and find some happiness in this gift of life God gave all of us. I will pray that you find peace and happiness for the remaining time you have on this earth just as I would want someone to pray for me. Josie, my dear, I am so sorry to learn of the tragic death of your husband, and I can only imagine the depth of your pain. Your devastation and anger at God are understandable, and I wouldn’t presume to take that away from you ~ as I’ve written elsewhere, suffering a major loss causes us to confront and re-think the basic beliefs we may have held all our lives, and we may feel abandoned by God or angry with Him for letting our beloved get sick and die. (See “Spiritual Reactions to Loss,” http://j.mp/1BMHgVE). I hope you will seek the support of a grief counselor as you find your way through this horror. My husband died on the 29 March 2011 and my world came to an end. At the moment I have suicidal thoughts but my two rescued ill treated cats keep me going as I have to look after them. I hate living on my own and people keep telling me to pull myself together but I haven’t got a life any more just an existence. I’m so sorry for your loss, Kim. Your wanting desperately to be with your husband is certainly understandable, and my heart reaches out to you in your pain. I hope you’re not trying to cope with this all by yourself. If you don’t have the support you need and deserve, please consider a session or two with a qualified grief counselor. My thoughts and prayers are with you. Dorothy, my dear, if caring for your two rescued kitties gives you reason to keep on living, I encourage you to let that be reason enough for now. Those fur babies need you. Know that grief is not a single event; it is a process that takes time and effort to get through. Certainly it’s not just a matter of “pulling yourself together.” Your entire world (as you’ve known it) has come crashing down around your ears. I don’t know what, if any, support you’ve obtained since your husband died, but I hope you will contact your local hospice, mortuary, church or synagogue to see what bereavement services are available in your community. Grieving is very hard work, but you don’t have to go through it alone. At the very least, please consider joining an online grief support group, such as the one I moderate for Hospice of the Valley, at http://www.hovforum.ipb.org ~ open 24 hours a day, seven days a week, at no cost. You are not alone, and you are most welcome to join us. I feel the same way, my wife died on 20 Sep 2011, and i do not want to go on living without her, i cant live without her. She was only 27 and we were so much in love, she had an unexplained cardiac arrest. I would never commit suicide but i pray to god everyday to let me die. I know I will never be happy again wothout her, no matter how may people tell me itll get better, i know it wont, it cant get better without her here. I completely understand.I lost my wife of 42 years 2 years ago. I have brief periods where I think I am okay, but suddenly the pain and emptiness comes roaring back. I go to bed at night hoping I won’t wake up and wake up wishing I had not. I was never lonely in my entire life until I lost her. I am not lonely for people , but only for her. I, too, simply exist waiting to die. I know I will never get over her and will love her forever. Believe it or not when I realized I was not supposed to get over her, that she was given to me to love forever and that we are still bound together, it helped a little bit. Dean, my friend, I don’t know how you came to realize that you are “not supposed to get over” your beloved wife, but I’m awfully glad you did. As you have discovered, death may have ended your wife’s earthly life, but it has not ended your relationship with her. Your relationship has changed, from loving her in her presence to loving her in her absence ~ but it certainly has not ended. Your beloved will continue to live in a special chamber in your heart and in your mind, just as long as you keep her memory alive. God took my husband away 2 years ago, seems like yesterday. Then my mom 9 months later. I have been in talk oounseling, hospice group, and I got medicine from my regular doctor. I have had some major breakdowns, I have cut myself. I have been in a clinical depression for 2 years. This is my fourth bout with depression, this one has lasted longer than all the others, to be expected. I was my husbands caregiver for the last 22 years, he was injuried at work in 1988, he ended up losing his leg above knee, then through a blood clot to the lung. A few years later he had open heart surgery, with his disablility it took him six months or more to get better, then he was wheelchair bound. Then 2 and 1/2 years ago we go to the er for a back ache came out with a death sentence. He had (cholangiocarcinoma) bile duct cancer, very rare, and very deadly, six months later he went to see Jesus. My salary was cut 2100. a month, everything I have is broken, I’m being sued by a company that I borrowed money to get my house note caught up, now I can’t pay for that. During that period of time, I signed a no harm, or no suicide at my therapist office. I have done cutting a few weeks ago. My therapist wants me to bring these funny, little knives and put them in the trash. Well I don’t have trash collection at my house I can’t pay for it. I can’t give it to my daughter to dispose of, she has a history of cutting. I was going to turn them into my therapist, but I thought I still might need them. I feel pathetic, lonely, a failure, I can’t do anything and do it right. I am on 14 different prescriptions from high blood pressure to diabetes. Why should I go on? My beloved wife died suddenly on 3rd May 2012 as she got out of bed in the morning. We had been soul mates for 48 years – since we were teenagers – and married for nearly 45. I was her first boyfriend; she was my first girlfriend. We were deeply in love and never had an argument or bad word between us in all those years. Ruth had been suffering from MSA – a kind of souped up Parkinsons Disease with no cure – for some years but had been getting on OK and we were living a pretty normal life. Last December she had a fall which resulted in emergency brain surgery for a blood clot and five days later she contracted pneumonia and was in intensive care on a ventilator for several days. She pulled through each time and after two and a half months in hospital she came home in mid-February. At the beginning of May she wasn’t too well so I took her to our GP who diagnosed a urinary infection and prescribed antibiotics. Next morning as she got up she collapsed and despite my efforts and those of the ambulance people she never regained conciousness and died a few hours later in hospital. She died of a urinary infection. We were true soul mates, never apart. We did everything together and I am totally in shreds without her. I too have thought of suicide… even checked on ways to do it.. but my faith tells me it would be a bad sin and I would probably never be reunited with her. I too pray to God not to keep me on this earth too long. I suffered with depression since Ruth became ill about 6 years go, scared that I would lose her or that I would die suddenly leaving her to cope, which she would not have been able to. I am glad i stayed well until she died and that she will not end up totally disabled, which her disease would inevitably have caused. But…. how do I survive without her for maybe the next 5-10 years? It doesn’t bear thinking about. The only comfort I get is to visit her grave 3-4 times each day and talk to her. It’s a double-grave and I truly want to be in there with her. I lost my husband, and I, too, am not thinking good thoughts–I do not want to live any more, and I tell God that, and I tell my husband I am sorry, I am trying, but it’s too overwhelming without him; I miss him too much, every second, everyhthing reminds me of him, and doing everything alone in the house upsets me more, reminds more that he is gone. I don’t know what to do. Will God forgive me? Doesn’t God see and feel my pain in my heart? Please answer this, and help me know what to do. My dear friend, my heart hurts for you, and I am so sorry for your loss. You’ve asked me to help you to know what to do, and I can only encourage you to read through all the posts and responses you see here already, which I hope will give you some helpful suggestions and assure you that you are not alone in what you are thinking and feeling, as you struggle to come to terms with the death of your husband and find your way in a world that no longer includes his physical presence. Learning to live without your beloved is a very tall order, and it is the biggest challenge you will ever face. Please, please do not try to face this monumental task all by yourself. There is so much support “out there” just waiting for you to reach out and ask for it! You managed to find your way here, which tells me that you have access to a computer, and you know how to use it. There is a world of support right at your fingertips, and I urge you to find it and begin using it! I lost my my husband of 31 years to suicide in 2009. I will never get over this. It still hurts just as much and I am still just trying to get through each day. I pray that God will take me all of the time. It is too hard to try to go on without him. I actually had a counselor tell me to just get on with my life because he is gone. No one reallyunderstands this kind of pain. I think it is different for everyone. My wife died of Breast Cancer 3 weeks ago. We were best friends, soul mates and companions – the feelings of emptyness and loss are overwhelming – there hasn’t been a day since she died that I haven’t wept. I don’t think I have ever felt so utterly exhausted and sick. Her back was broken before Christmas by a tumor which almost paralised her. After five weeks in hospital, radiotherapy and surgery she came home. I spent the 5 weeks with her in hospital as we live in Spain and a bed is provided for the relative. I then looked after her at home with some daily help, but she never walked again. She told me she had lost the will to live and wanted to die. Five weeks later she died as I looked at her, very quietly in her sleep. The heartbreak is indescribeable – I loved her more than life and spent the 5 weeks at home changing her sheets, trying to keep her hydrated and pain free – which through some miracle she mostly was, despite cancer in her spine, and other places in her bones. The truth is I feel like half of me has died with her – at 57 (she was 56) I feel I have had the best years of my life and if I died tomorrow I feel that would be fine. The thought of living 20 odd years without her makes me feel physically sick. I thought today that one quick cut with a sharp knife and the pain would be gone….. I know we will hold hands again one day – sooner for me would be better…..
Thomas you wrote your comments so I do know your current situation. The relationship I had with my deceased was similar to yours. In other words we both had great marriages. I hope for your sake the saying”time heals all wounds”. However in my case and those of others that I know about who also had great marriages like us, time did not heal all wounds.Research has shown many couples married 50 or more years never experienced joy or happiness but they stayed together for various reasons. Since so very couples have the great great great marriages even though the may be experts in this field they do not understand our pain. My pain is greater than the day my wife died and tomorrow it will be greater than today. I hope this has not been your case. If you wish to discuss this further my email address is [email protected] gmail.com Anthony in LA. Oh my dear Thomas, how my heart hurts for you. I am so very sorry to learn of the death of your beloved soul mate, and I cannot imagine how painful this must be for you. Clearly your loving care made your wife’s final days and hours more bearable for her, and your devotion to her is palpable. She is free of all that pain now, and you are the one who is left with all the hurt. I understand that the thought of living the rest of your life without her makes you physically sick ~ but I think this is like trying to eat an elephant in all of one gulp. You must find a way to digest this overwhelming loss in smaller bites, lest you choke on the enormity of it all. I suggest that instead of thinking about the next 20 years, or even the next year or month or week, you begin to think only about today ~ and if that is too much to face, take it only a few hours or even a few minutes at a time. You are very early in this journey, and you’re barely past the initial shock and numbness of your beloved’s death. I encourage you to pay a visit to the online Grief Discussion Groups that I moderate for Hospice of the Valley, at http://www.hovforum.ipbhost.com. Look for the Loss of a Spouse, Partner or Significant Other forum. Read through some of the threads you’ll find posted there. There isn’t a person there who hasn’t felt as you are feeling now. Please join us if you feel inclined to do so. You’ll find yourself surrounded by some of the most caring, compassionate people you’ve ever known ~ all bound by the common experience of loss. You are not alone, and you need not travel this path alone. I am in my mid fifties and lost my husband to cancer 11 months ago. Just like most people have posted here, my spouse was my soul mate. I found this post because I was wondering if other people felt like me and it is amazing to hear the same exact feelings. I would never kill myself because I believe in God, but I pray every night for God to let me die in my sleep. I told this to my deceased husband’s sister, and now she won’t talk to me, I guess I should have kept this to myself. It is so nice to see people on this post who understand and have the same feelings I do. Oh my dear Missy! The thoughts and feelings you’re having are not “terrible” ~ not at all. They are normal, normal, normal! You are being so hard on yourself, and my heart hurts for you! The post on May 17 is so poignant for me. I lost my husband around this time this year and have been struggling massively to cope with the grief. I too have two cats and they seem to be my only reason to keep going. Right now, I have lost all interest in life and can barely function enough to work, then outside of work I just hermit away at home and cannot see a future and regularly think of ending things. My family are too far away to be of much help, although I do have a few good friends, but they are all in couples and don’t invite me to many things any more. Anna, my dear, my heart hurts for you as I read your story. You don’t say what if any support you’ve obtained since your husband died, except that your family is “too far away to be of much help” and your good friends are “all in couples.” This is one reason why it helps so much to put yourself among others who share the same type of loss you have endured. They are the people who “get it” with no further explanation required. I strongly encourage you to find a support group composed of widows and widowers ~ whether that is an “in person” support group or one you can find online. You need people who can relate to what you are going through, to help you feel less “crazy,” less alone, and less hopeless as you learn to walk this challenging path. You might begin by paying a visit to the online Grief Healing Discussion Groups I moderate, at http://www.griefhealingdiscussiongroups.com. 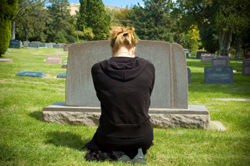 Click on the forum entitled Loss of a Spouse, Partner or Significant Other. There you will find yourself among some of the most caring, compassionate people you’ll ever hope to meet, you’ll learn what is normal in grief, and you’ll discover many practical things you can do to manage your own reactions. I lost my beloved almost two years ago and I still cry all the time. I went to counselling twice and a grief support while I was able to. To make matters worse I am now seriously physically disabled with a spinal condition and I had to stop going to counseling as they only had chairs and I am unable to sit or stand for a session. I think back on all the counseling I had and I am not sure if it even helped. My family doesn’t care about my loss and say stupid things like you’ll meet someone else. I can’t even go out due to my disability so I know I won’t be able to meet anyone. Since I cannot work I have very little money and barely survive. I am going to kill myself because the courts won’t give me any child support increase to care for my daughter even though I have been underpaid for years. Social services has cut our food stamps drastically and it is very difficult and dangerous for me to go to a food bank, a store, or really anywhere. My ex is very abusive to me and I have no one to protecet me. Social services sent a stop order for my child support and then said they never sent it. My doctors say I am going to end up in a wheel chair. My family begrudgingly helps me with things I cannot do, and complains the entire time. I hate life and I am tired of being all alone, abused, and sick. Michele my dear, I am overwhelmed just reading your story, so I can only imagine how you must feel. I am so sorry for your troubles, but all I can do is express my concern and urge you to reach out to your doctors, your social services and your family for the help and support you so desperately need, regardless of their “complaining the entire time.” You are in survival mode, and I don’t think your grief can be addressed adequately unless and until you get these other problems under some sort of control ~ such as getting a restraining order against your ex. You are in my thoughts and prayers, and I wish you all the best. My son emailed me this page, I lost my husband of 40 years 3 weeks ago tonight, we had been together since we were teenagers. I too just don’t want to live without him, I too pray many times in the day to die, I can’t bear the pain of being without him, like others here, I just don’t want to wake up, my children are worried about me, my life is a nightmare from which I cannot wake. It helps to know that others feel as I do, but it seems to go on and on, some people report not feeling better after years, what is the point of living in such torment? I feel the same, as I lost my husband 11 months ago to sucide n its to shocking n unbeliveable for me.he loves me so much then why he left me alone,I m living just because of my little baby boy, n I m so sure if I want had my baby I shall suerly go for sucide whether it is fair or not because I found it very difficult without him and also with this fact that he commit sucide..y allah chose me y???? I feel the same was as you do. My husband passed away 5/13/14, I found him dead in bed when I got home from work. He was cold, blue, and that was so disturbing. He was retired, walked me to the car the morning of the death, we talked about dinner; it was raining so he kissed me and said going back in baby. I talked to him before lunch and then he didn’t answer the phone. Last week the phone network was out a couple of days so I thought that was it. I did not in my wildest dreams expect to find him dead. I am shattered, scared the other proverbial shoe will drop at any time – I am afraid of everything now. Before I was a strong confident woman. I like the widow before wanted to die too, take me please I would pray until one night I awoke with heart arrhythmias and sweating. I thought I was having a heart attack (went to doctor and it was stress and anxiety). So now I understand I want to go one but also believe I will never be happy again. My Jimmy was the love of my life; we were best friends, and inseparable. I am so lost and lonely I don’t know where to begin to pick up my life. I can’t get the picture of him passed away in bed out of my mind. I should be happy that he went in his sleep and a part of me is…but I want him back. I want our life back and it isn’t coming back. So I go through the motions of life and can’t seem to actually engage in life. Will this get better? My family and friends have gone on with their lives and appear uncomfortable and distant. They are tired of my tears and grief so I hide. It hurts that I have been there to listen to their problems and now no one seems to care anymore. That just makes me want to leave this earth even more but I don’t want to die, be in a hospital, a home. So I take care of myself and fake it. Then fall apart at home behind closed doors. I feel as if I am being punished, could I have saving him if I were there, Why did he die??? I came across this post whilst doing a web search. I completely empathise with the reader who felt suicidal. I’m not brave enough to suicide but I have no wish to live a moment longer without my darling husband who passed 1 year & 2 weeks ago. I’ve felt this way every single day since he passed. I’ve had 6 months of grief counselling, anti depressants for a while (but they don’t work for grief). I returned to work in June – working mostly from home. I have lovely family & friends but my life ended the day my darling died. There is no joy in life without my husband, no hope, no dreams just endless unremitting grief and loneliness. My ONLY wish is to leave this life & to be reunited with my soulmate and I pray to God that he will soon show me some mercy and let me leave this life. I’m so very sorry for your loss, Pam, and I can only encourage you to seek the support of others who understand: those others whose beloved spouses have died, too. I hope you’ll take time to read through some of the other comments you will find here, and take to heart some of the suggestions. You are most welcome to join our online Grief Healing Discussion Groups, at http://www.griefhealingdiscussiongroups.com, where I promise you will feel welcomed and supported. You are not alone. I am wishing you peace and healing. I’ve read through most of the posts on here and found your post the most recent. First of all, I am very sorry for your loss. There is no words that can describe the pain you are going through and no words can make you feel even a tiny bit better. I don’t want to sound cliché, but not only I know and understand your pain, I can feel it too. I’ve too has recently lost my wife. Today would be 2 months, 2 weeks, and 3 days. I just want to take a moment in my wife to post a message here for your in hope that if you have a chance to read this that it will comfort you in some way, even just for a second. I am not an expert or do I really know how to cope with my own pain, but I want to let you know you are not alone as you can see here many of us on here feel the same way. I hope that “we” all can find and have some “peace” back into our lives soon. My husband committed suicide in April 2016. He always said that I was the finest wife a man could have but after his death, I found out he had a series of mistresses and lovers and prostitutes. I’m so devastated on so many levels that I can’t function. Every night, I beg God to let me die in my sleep. My husband left me with a terrible mess and every day is another day in hell. I’m lonely and alone and I wish God would let me leave. My dear Rosemary, I simply cannot imagine the depth of your pain ~ and how I wish you could take your deceased husband’s words to heart ~ that you were the finest wife a man could have. Of course you are devastated, in the wake of these horrific revelations. I pray that you will not take on the sins of your deceased husband as if they are your own. The guilt belongs to him, not to you. Please, please do not attempt to deal with all of this without outside support. Help is available to you, if only you will reach out and ask for it. You are worth it, and you deserve it. Oh yes..I completely understand. Feel exactly like you Rebecca. I lost my partner really fast to cancer in December 2016. Really do not see the point of plodding on in pain every day. Would have quit but I have an adult daughter who would be devastated. Feel stuck in a place that I cannot get out of. Seeing a therapist, have lots of good friends and working cos I have to …but for what? Frances, my dear, I understand that you are feeling this way now, but if there is one thing I’ve learned about grief, it is that it changes ~ and you will change in your reactions to it as well. You say you have an adult daughter who would be devastated were she to lose you too. My prayer for you is that, for now, you will let that be reason enough to keep on keeping on. In the meantime, I wish for peace and healing for your broken heart. I lost my husband on the 3rd of April 2016 I’m heart broken and devastated I can’t see any point in anything without him I am lonely without him and crave for his touch . Every morning I wake up and realize he’s gone I don’t want to face another day we were each other’s life for 30 years I have never felt such pain . My faith in God has been the only thing that has stopped me following him because I know he has to choose my time to come to him. My husband died suddenly and alone I blame myself for not being there to save him. He had been drinking as a coping mechanism because he was finally seeks ng justice for the abuse he suffered as a child and an adult. We both had said unkind words to each other our last moments together which can never be put right. He loved me completely and I don’t think I was ever able to show him the extent of mine for him. He is and was a beautiful human being in my eyes and I pray he is free of pain and happy now. I love you my sweet Michael. I’m so sorry, Anna, but I did not see your comment until just now. I’m so sorry that you’re feeling so isolated and alone in your grief ~ and if you’re still feeling as you’ve described, I hope and pray that you will reach out for the support you need and deserve. No one knows how you are feeling unless and until you tell them. If no one in your circle is available to you, then find whatever professional support is available in your community. At the very least, consider joining an online forum aimed at surviving spouses. The one I moderate is as far away as your computer’s keyboard, and it’s there for you 24 hours a day, seven days a week. I just want to say I think of suicide often but I don’t tell anyone for fear of being locked up. I have been a widow for 13 months. I’ve done a lot of strange things since my husband died to try to divert myself from the huge void that I feel will always be there. The main things that have kept me from acting upon my feelings are my 2 dogs. I think no one else would love and care for them the way I do. That might be a lie I tell myself but it keeps me going. The other thing preventing me from actually acting on my feelings is the hope that I will feel differently in the future. I try to find things to occupy my thoughts but my husband is never far away from my thoughts no matter what I seem to do. Sometimes I think the further away I get from the day it happened I will feel better … sometimes I do but often I don’t. I know that everyone grieves differently and I do know that these suicidal thoughts are directly connected to the loss of my husband. I just can’t make myself feel connected to anything. I don’t care about any material things or my work or even my family… just my dogs. Weird but it’s how I feel. I do also feel that I must still have some purpose to be here even though I have no idea what it is so I just get through another day. I am hoping that in the future I can feel connected to things again, not my material things, but family and society. I think one of the hardest things is not being able to talk about this. I don’t plan to harm myself but by the same token I feel very ready to die. I have lost other people in my family due to death but nothing prepared me for this. I have been looking at other societies in which they prepare for death and talk about death and have a different perspective of it. I think in this society it’s something people don’t want to talk about so unless you go to grief groups or check on line one might feel very alone in these thoughts. I went to grief counseling but it was very geared for the first year. Maybe that is just what is available in my area. Regardless you are very brave to express your feelings on here and I hope that you find a little bit of comfort in knowing you are not alone. The best thing so far for me to take me out of myself is to help others and maybe for myself it’s part of finding purpose which for me is imperative for existing. I do continue to hope that I will feel some peace in the future and I wish that also for anyone reading this. Jody, my dear, I thank you for your comments and your honesty in sharing your feelings, which I must say are not at all unusual at this point in your grief journey. If loving and caring for your dogs is keeping you alive, let that be reason enough for now. If you’re feeling a need to be with others who are mourning the loss of a spouse ~ and well beyond that first year of grief ~ I invite you to join the Loss of a Spouse forum in our online Grief Healing Discussion Groups, at http://www.griefhealingdiscussiongroups.com. There you will find yourself among kindred spirits, and I know you will be welcomed with open arms and caring hearts. I lost my husband back on August 1,2011. He had a massive heart attack. My life and my son’s life has been hell ever since.My son has a high autism. My daughter has been able to move on as she is planning on getting married. I am 53 now was 47 when Pat died. I tried after 2 year’s to move on, i met a man who was divorced and married but it only lasted 1 month.While i was waiting for the divorce to be final i met another man who is a widower.I loved him and he loved me but my grown children couldn’t stand him. Now i see why, he is a bully, he threatened to kill my son, called my daughter every name in the book. Tried to control me.Was cheap.Finally this year i asked for a divorce. He was already with another woman by February. After all this i have finally come to my senses and realized the 2 marriages were not fair to anybody because the love that i have for my late husband over rules everything. I still cry everyday (even when i was married) I still talk to him, i still ask God why. I still get angry because he isn’t here. I miss my life. I went from having a wonderful life and the best husband to being mentally abused by the last husband and now living with my son in a trailer park. I just can’t believe how everything can change in one split second. I know i need help dealing with all this but have no insurance so am looking for a therapy group around me. Never knew the human body has an endless supply of tears. I could have drowned an elephant in the past 56 weeks with all of the tears i have shed. Kent, my husband of 20 years, died Nov. 5, 2016 from complications due to pneumonia. He was 53. He played 27 holes of golf the day before he entered the hospital. He was in excellent physical condition except for the pneumonia, of course. It’s my fault. They said he had brain damage from an extended high fever. They said he would probably lose fingers and toes, maybe hands and feet or arms and legs from the sepsis. He was on dialysis by now. His limbs were turning black because the brain was only taking care of his core. I let them turn off the ventilator then watched the nurse give him a big shot of morphine that stopped his heart. I let the most important person, the best and most handsomest husband EVER, die. He was a better man than i am a woman. I want to die. Really and truly. I am physically hurting myself. I am making stupid and irresponsible choices. I miss making love to my husband. I had a one night stand with a loser. I repeatedly apologized to Kent. I just wanted to be held, to be wanted, to feel something besides guilt and sadness. It meant nothing. I am in love with a dead man. How crazy is that? I DON’T CARE ANYMORE. My shrink is not helping or I’m not helping myself. Probably the latter. I have no family except for a son, 34, lives thousands a mile away. He feels i should not mention him or break down especially in front of him or strangers. I have no other family and friends have faded into the background. I know he’s wrong but still it hurts. Yep, let’s just pile a little more hurt onto this dung heap. That’s the least of my worries. I just want Kent to come home. Somewhere, in a little crevice of my brain, i know that can never happen. Maybe God will let me be with him when I check out. Deb, my dear, I know that nothing I can say will fix the pain you’re in, because there is no way to fix the fact that your beloved has died. My heart reaches out to you, and I am so sorry for your loss. You say that your shrink is not helping, which leads me to wonder if he or she is a good fit for you. Not all therapists are familiar with grief. (See, for example, Seeing a Specialist in Grief Counseling: Does It Matter? http://j.mp/2fDo1v6.) You have reached out by posting a comment here, which is an important first step in finding the support you need and deserve. There are so many additional resources available to you! I urge you to check out some that are mentioned above, and know that you are most welcome to join our online Grief Healing Discussion Groups, http://j.mp/2zzvjIF. You are not alone in your pain. Thank you for your response. Group grief counseling/discussions means taking on other people’s pain and sorrow. I was in a fine group for several months. I dreaded going each time. Maybe wallowing in one’s own grief is not the best method of healing, but when I listened to their stories, i cried even more. My heart ached for them and I felt overwhelmed, even more so then now. I went to a counselor, the first time she absorbed my story like a sponge but only suggested I write letters to Kent. Tried that but without enthusiasm because felt it was an exercise in futility plus I never received a response. Imagine that. The next time, her eyes glazed over as the words tumbled from heart. I will check out your link for grief specialists. Thank you again for your heartfelt response. My husband died on May 24, 2017, 10 months after our wedding and 30 years after we began living together. It was not unexpected; he was very ill for many years. I always thought I was prepared for when he would die, but I am now discovering how wrong I was. It has been just over a year, and I still cry almost every day. I get up in the morning only because I have to, and try to find something to fill up the endless days. I care for my two dogs, both of which have terminal illnesses. I’m dreading inevitable when I lose them because they have been my rock this past year. I loved golf so much because he taught me how to play and we played together, but now I have no interest in the game at all. Knowing he is not there when I come home to ask me how my round was is unbearable. I go out with friends only because they bug me to get out. I have many widow friends and we do things together but nothing makes me happy. It all seems like such a chore and so many times I feel like I just want to be with him. But I have a daughter, and she keeps me going even though I only see her once a week. I’m free to travel, which I couldn’t do for the longest time, and when I do travel things seem better, until I get home and the sadness starts up again. I’m not an old person and I can’t imagine living two or three more decades like this. Robin, my dear, I commend you for your conscious and constructive efforts to surmount the pain and sorrow of grief as you struggle to get through each day and rebuild a life of meaning. Rather than imagining “living two or three more decades like this,” I encourage you to concentrate instead on living one day at a time. Grief changes over time, and your responses will change as well. I also encourage you to consider joining our online Grief Healing Discussion Groups, which include a forum for Loss of a Spouse. There you will be met with open arms and caring hearts ~ and the compassion and understanding that come from sharing with others whose losses are similar to your own. My beloved husband, Tim, of 31 years died a year ago May 2017. We were retiring teachers and had our respective retirement parties at our schools on the same day two weeks before we were to retire. The retiremeth nt parties were Thursday and Friday marked the beginning of Memorial Day weekend. Tim had Friday off, so I went to kiss him goodbye before I left for school. He was unresponsive, and was pronounced dead by the EMT’s shortly thereafter. It was a horrible horrible shock. I have been in grief counseling, which has been so helpful. I’m now having troubles with one of my sons, and I’m very depressed. I really don’t want to live, but I don’t believe I would take action. I’m just so sad. My life with Tim was so special, so sweet, and I miss him so so much. I don’t really know why I’m writing–probably to express my grief. My counselor is not available because of major surgery. Thank you for listening. Ginni my dear, I want you to know that I hear you, and my heart reaches out to you in your pain. Sixteen months is not a very long time compared to your having been together with your beloved Tim for 31 years! I hope you will allow yourself time to sit with your sorrow, to recognize that it is normal to miss your beloved Tim as much as you do, and to know that there is a vast difference between the sorrow of grief and being clinically depressed. Since your counselor is unavailable right now, please know that you are most welcome to join our online Grief Healing Discussion Groups, which include a forum for Death of a Spouse. There you will find yourself among kindred spirits ~ some of the most compassionate and caring people you can find. I know it may feel as if you are all alone, but we are here for you just as long as you need us to be ~ 24 hours a day, seven days a week. I feel the same way. I lost my mother a few years ago. My wife and I lost our little dog in November 18,, he was our baby. We have ho kids. My wife passed on New Year’s Day 2019; I lost my whole family. It has been so hard. I still have my mothers house and belongings to deal with, now my wife’s. Every day I have trouble getting out of bed, my wife and I were planning our retirement this summer.. I am so confused. I agree, if god took me now I would have no problem. I just can’t see that far ahead where everyone says it will get better. I am going to try and get some counseling.